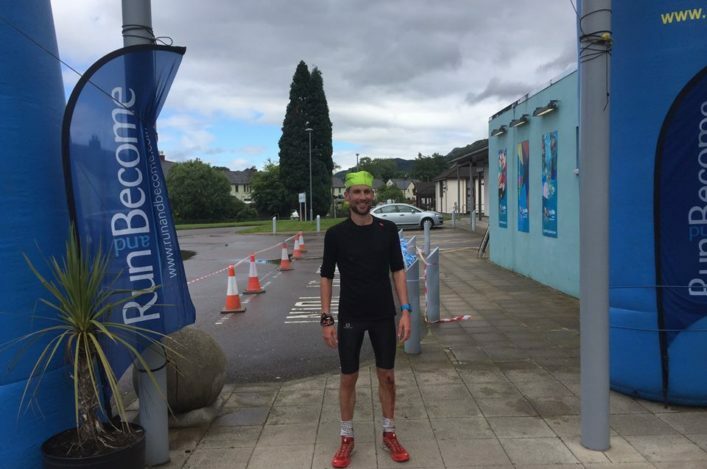 Rob Sinclair from Aberdeen broke the record for the West Highland Way race over the weekend recording 13 hours 41.08 for the 95-mile trail challenge. 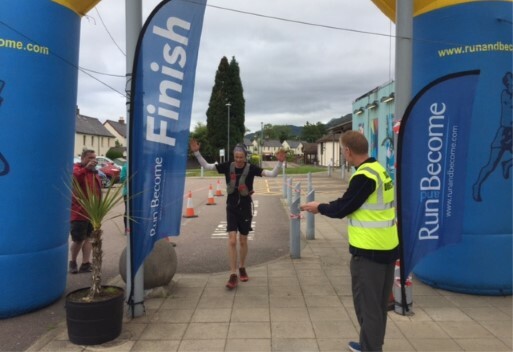 In what can only be described as a phenomenal, committed effort from the start in Milngavie, just North of Glasgow, to the finish at Lochaber sports centre in Fort William, Sinclair lowered the previous mark by over half an hour. Paul Giblin set his erstwhile course record of 14.14.44 back in 2015 but that time was smashed by a runner making his West Highland Way debut. Sinclair finished over three hours ahead of second placed Mark Yule from Lanark, who recorded 16.57.55. Dave Ward, Hunters Bog Trotters, was third in 17.43.50. 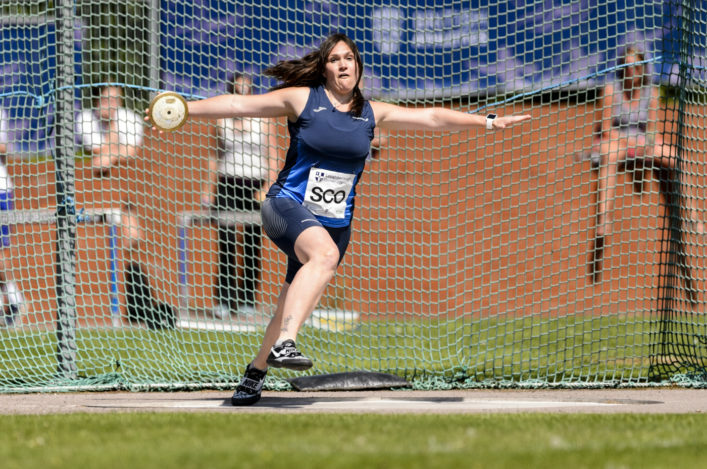 The Women’s race saw a victory for Cumbernauld’s Lynne Allen in 18.48.31 – also on her WHW first appearance. Carrie Craig made it a podium double for HBT with 19.13.39 for seconds and Jo Murphy of Carnegie Harriers was third just dipping under the 20 hour barrier in 19.57.52. The iconic long distance trail, which also involves 14,000 feet of climb, is the longest race to receive a permit from scottishathletics. A record number of 211 starters set off at 1 am on Saturday from Milngavie, with 159 reaching Fort William within the 35-hour time limit. The 27-year-old from Aberdeen, who takes advice from the experienced Mike Raffan, said: ‘I am absolutely thrilled and still struggling to take it in. ‘After my Highland Fling race in April, Mike was convinced I could get under Paul’s record but I have never raced beyond 70 miles before, so you never really know how the extra distance is going to go. 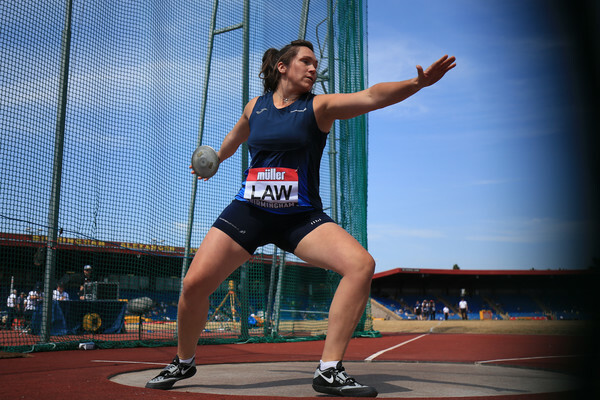 Allen’s time, although somewhat slower than the Women’s course record of 17.16.26 set by Lucy Colquhoun in 2007, is still the seventh best ever on the course. *Sinclair won the Lairig Ghru race last year and there was a course record in 2017 this past weekend as Murray Strain maintained his recent excellent form to win in 2.58.10. GB international ultra runner, Joasia Zakrzewski, won the Women’s race in 3.53.27. And Paul Giblin finished in ninth place in the Western States 100 race in America.